Taiwan's StarLux Airlines has signed a firm order for 17 Airbus A350s in a deal valued at a shade under USD$6 billion at list prices. The order firms up an undertaking that StarLux made at last year’s Farnborough Air Show. The agreement is for five A350-900s and 12 of the larger A350-1000s. The Taiwanese startup plans to use the aircraft on long-haul services from Taipei to Europe and North America, plus some destinations in the Asia-Pacific region. The airline is scheduled to start receiving the first of a previous order of 10 Airbus A321neos in October this year. They will be followed by the A350-900s from late 2021, and the A350-1000s from the third quarter of 2022. 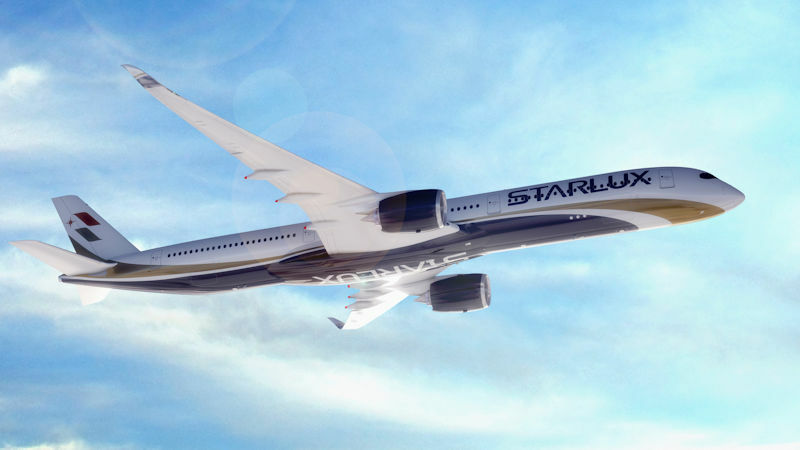 StarLux said it expects its fleet to include up to 27 aircraft by the end of 2024 to serve over 20 destinations in Asia and North America. It expects to launch commercial service early next year.